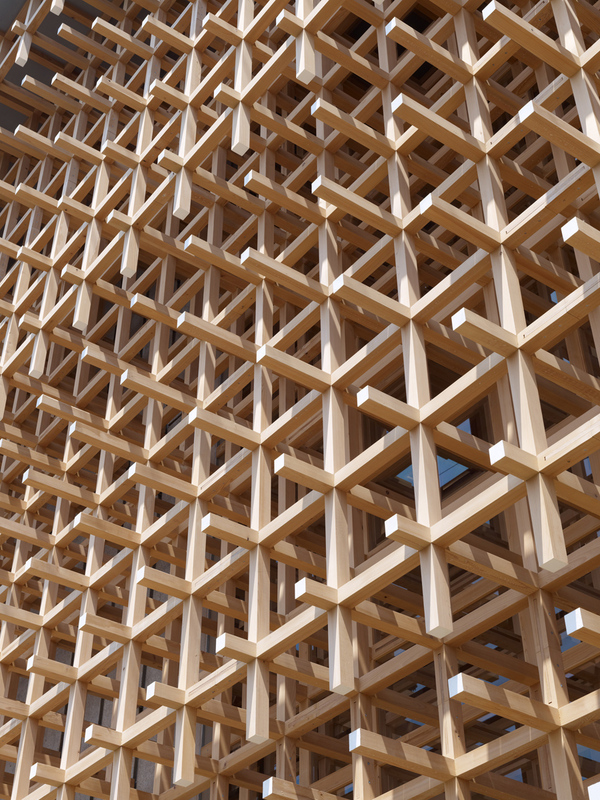 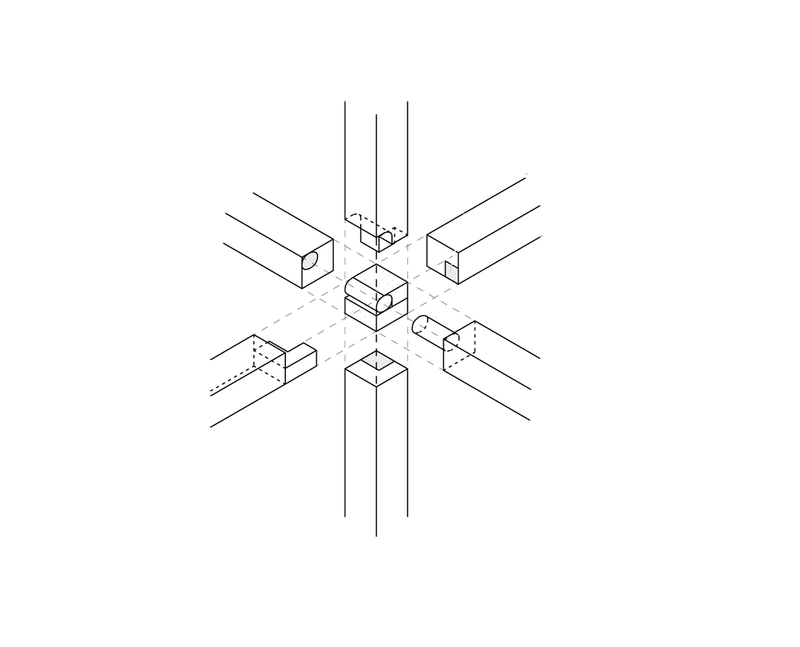 Design of this structure consisted of taking on the challenge of creating a medium scale wood structure built by combining small sections wood members (6cm x 6cm) based on a traditional wooden toy from the Hida Takayama region in Japan. 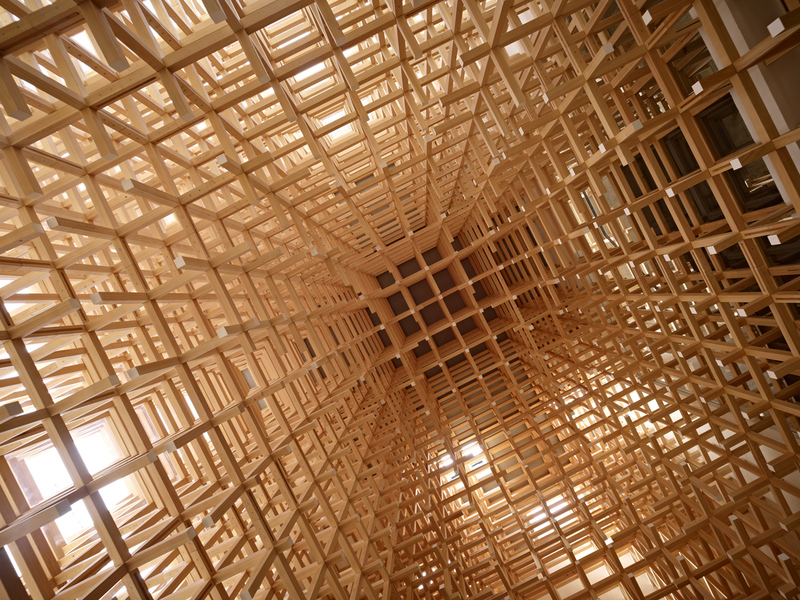 No glue was used to build the structure. 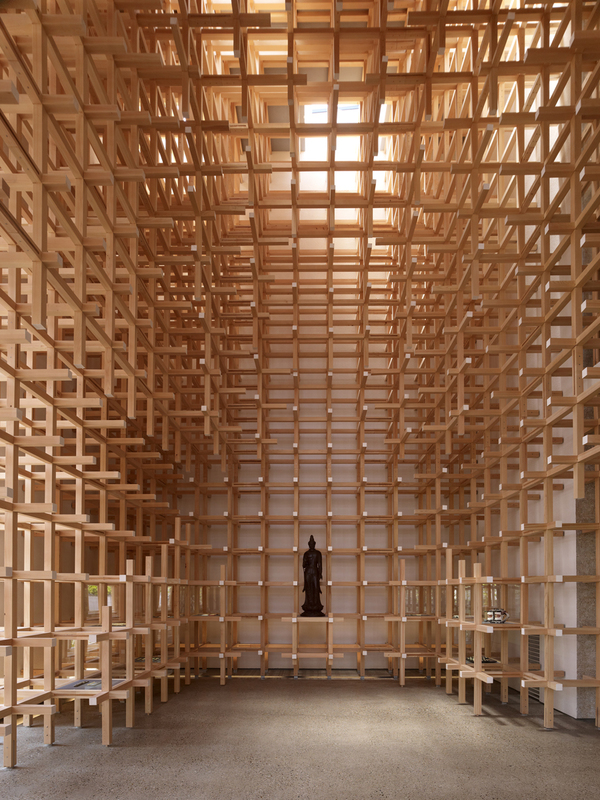 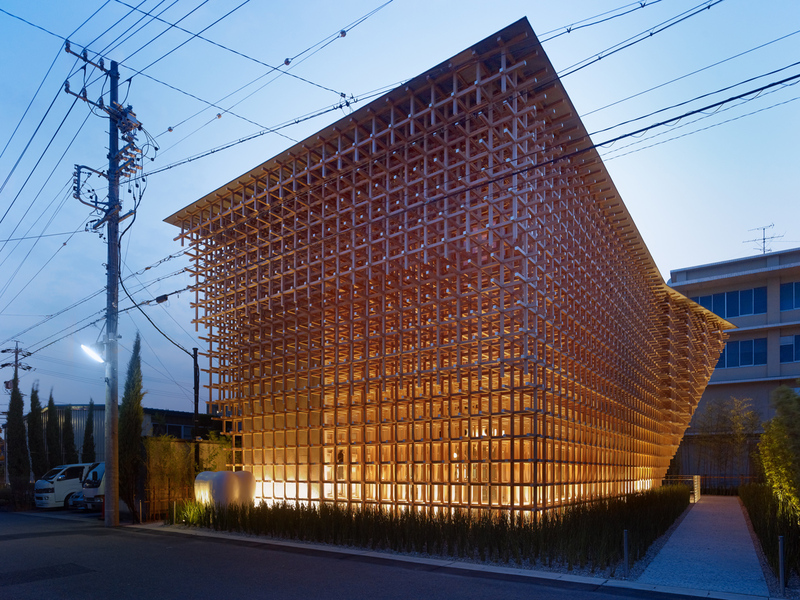 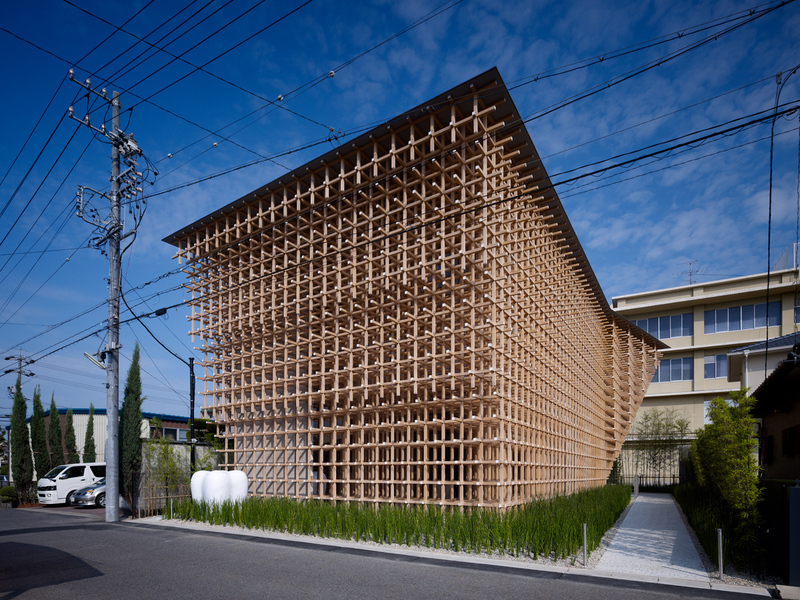 The wood grid supports the structure, and also serves as display space for the items exhibited in the museum. 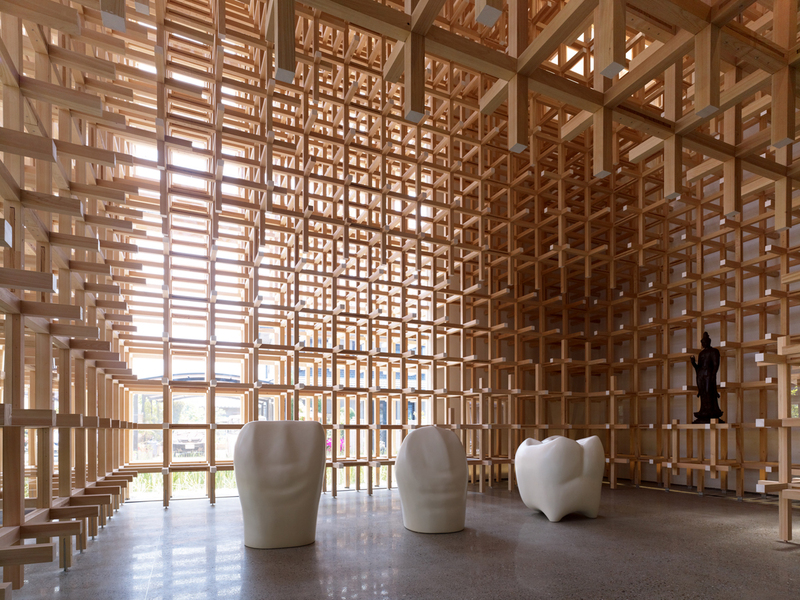 The structure protrudes out on the upper part of the structure to protect the wood members from rain, and white paint is used to protect the wood members on the edges.